This match annoys me a little bit. Not because I think it won’t be good, but because of the stipulation. Cena loses his #1 contendership if he loses the match. Okay, but what about Rollins? He has nothing to lose here, and really, nothing to gain by beating Cena. So why bother? I think Rollins’ motivation for this one needs to be spelled out a bit better, because right now, this All-Star match-up is just kind of…there. I’ll be angry if: Cena almost has to win, so he CAN’T. I’m hoping that we’re getting something a little bit farther outside the box here. Cena can lose his number one contendership, clean or otherwise, then lose in the Rumble, build up to something at Wrestlemania…perhaps against HHH. 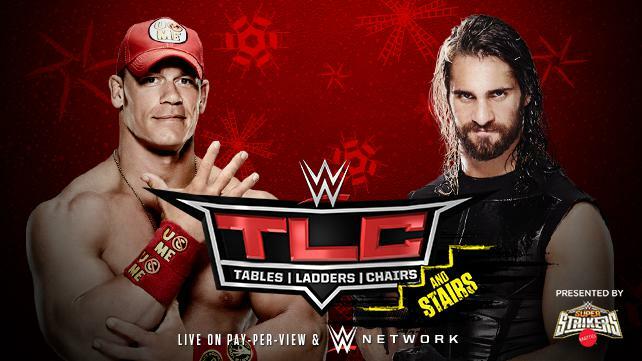 I’ll keep my cool if: Rollins curbstomps Cena’s face through a table, and into cinder blocks. Rollins wins, and then makes out with Nikki Bella, just for good measure. What I’m expecting: Cena wins. On Raw, Cena announces he wants his shot at Lesnar. The match is booked for the Rumble, and I thank god that I’m only paying $9.99 to see it.